I like the first screenshot comparison, for me the too saturated look encapsulated in the first picture sums up what has always made Trainz look not-quite-real (being diplomatic!). The lower picture is a definite step in the right direction. However I support the comments made earlier and I myself have echoed - take it as a "wishlist" and rebut if you want, but alongside the graphical improvements we must start to see some procedural and simulation element improvements. The former items such as how tunnels are created, the latter physics and modernizing sounds and introducing elements like proper despatcher/timetabling etc. Fully accept we are not getting these in TRS2019 and I got stamped on hard when I brought the topic up last time. But Trainz is approaching pole position to be the market leader in the genre, as DTG stagnate and MSTS fades away other than a few hardy souls propping up Open Rails. I see no sign of light beam, how will be the support of displaying light beams, lightened areas under lamps or on signals sunshields etc., which are currently substituted by special meshes using alpha? TANE in difference from previous TRS releases (which displayed it nicely) displays such meshes tragically making almost any night shot with lights ugly so what will be the progress on that in future SP(s) of TANE or even TRS2019? Well I think they want to make ambient light for buildings, lamps, etc. I think it is a great step for them compared to just a texture. Yep, and they added buildings under construction. That makes it look more mordern. So TRS2019 is one you need to buy? With T:ANE's Target? So I have literally wasted my moneys on T:ANE? Better sounds in game and night lighting should be worked on. I agree! 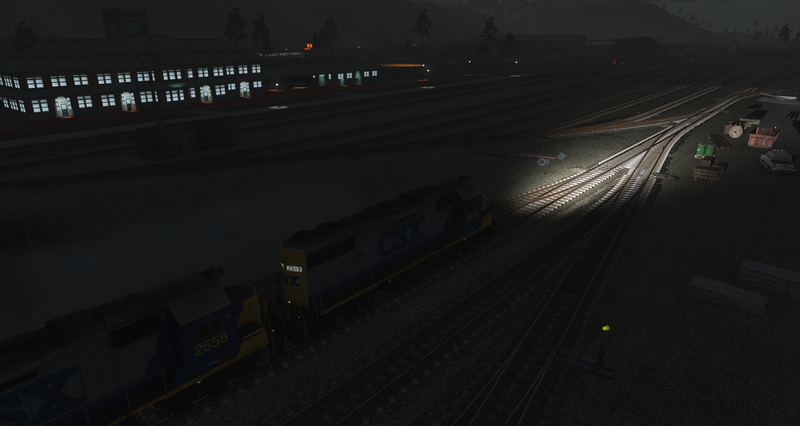 At least where Trainz won't simply pass through each other. I would have liked to use TANE to simulate a real-life train wreck, so that I might be able to analyze the cause on my own, but I guess that level of physics would be extremely difficult to build into a sim like Trainz/TANE. T:ANE looks like TS12 with total realism ... I am totally amazed ! Sorry brawh, I've got really fast fingers. 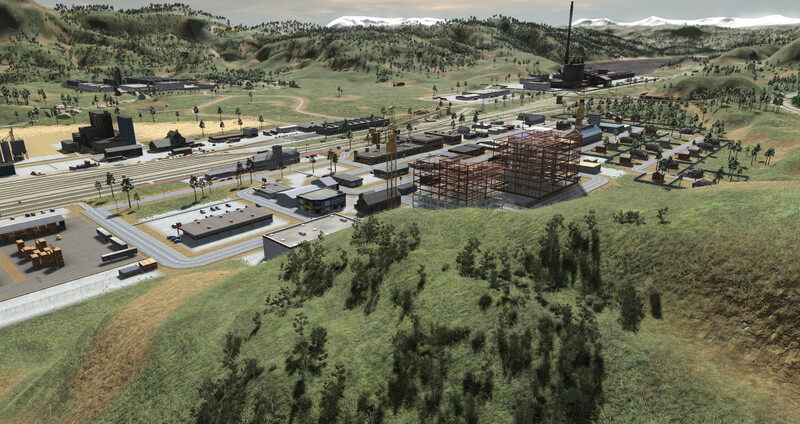 The route was originally created in TS2009, and was a culmination of about 5 years of work. Unfortunately some of the objects were removed in TANE due to compatibility issues; and a lack of time meant that they could not be replaced - this has unfortunately resulted in a somewhat flatter looking route. The track arrangements on the route are an accurate copy of the Healesville line in around 1913-1920 (at least as far as I had access to at the time; I've since found a few minor differences). For the speed limits, some trains will have a maximum permitted speed limit (shown in the HUD) which may be below the track speed limit. In this case you must not exceed the 'max permitted speed' shown on the HUD, as well as not exceeding the track speed limit if the track speed is lower than the max permitted speed. Unfortunately it was not picked up before release that this had not been mentioned in the startup messages (these went through a lot of revisions to make them shorter). However, the C&O Hinton Division route does also include steam locomotives in it (in particular the C&O Kanawha locomotive), and the Deluxe Edition's Warwick to Wallangarra route is also a steam locomotive focused route. Unfortunately, due to time constraints it wasn't possible to update the entirety of each route to use the new features in TANE, although some assets may take better advantage of new graphics features.